Stories tagged with "Art Department"
Between the walls of Lee III, Clemson University students learn the foundations of art and architecture. The award-winning building is home to many of the College of Architecture, Arts and Humanities’ programs – and now it’s home to "Foundation," a new piece of public art that seeks to inspire students, faculty and visitors alike. Clemson printmaking professor Todd Anderson has climbed to great heights. Once a serious rock climber, he now explores the beauty of the natural world through his art. His artist book "The Last Glacier" is on display at The Metropolitan Museum of Art in New York through Feb. 5. The bells will be ringing atop Clemson University’s Tillman Hall, but the people choosing which notes to play will be tapping a keyboard and listening from an arts festival in downtown Greenville. 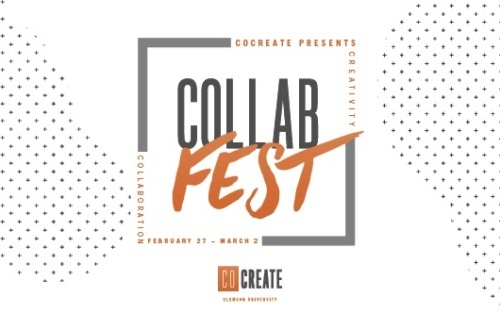 It’s a connection made possible by an app and website that students created as part of the university’s celebrated Creative Inquiry program and that will be shared with the public as Clemson’s STEAM Exhibit returns to Artisphere for a fourth year. The ceramics studio in the department of art at Clemson University will hold its Spring Ceramics Studio Sale and Creative Inquiry Community Supported Art (CSArt) program pickup from 10 a.m. to 5 p.m. Wednesday, April 26, in the hallway in front of the Lee Gallery. Clemson University’s National Print and Drawing exhibition, "Adaptable: Facing the Future," opens Thursday in the Lee Gallery and will be available to the public through March 15. The Center for Visual Arts (CVA) at Clemson University has hit the ground running in 2017, having already opened four new exhibits, hosted an artist talk and celebrated the sale of the spring 2017 shares of Community Supported Art (CSArt) student-created work.